Expedia can help you save loads with a Maputo travel package. With all that extra money in the bank, you might even like to book a few extra nights. Crafty travellers can save up to 80%* by purchasing a package deal on Expedia. With just a few clicks, you'll be able to organise everything you need for your next holiday using our enormous database. And — with more than 400 partner airlines and 321,000 properties from across the world, you'll have the flexibility to mix and match! Don't worry about changing your plans, as we don't charge additional cancellation fees for almost all of our reservations. Preparing to jet off on your Maputo holiday? Can't decide what to put on your travel itinerary? No need to stress — we'll give you some suggestions. Our planet is bursting with many fascinating plants, creatures and discoveries. A tour of Museum of Natural History will shine a light on the science of our natural world. Visitors in this destination are spoilt for choice. Check for tours at Maputo Cathedral. While you're here, take some time to close your eyes and partake in a bit of personal reflection. Still have some time to spare? Many big decisions have been discussed within the walls of Maputo City Hall. See it from afar or close up on a tour or an open day. The large range of Expedia accommodations in Maputo means that you won't be short on choice. That said — the sooner you book your room in the nation's capital, the sooner you can plan all the exciting adventures. We have luxury getaways and cheap holidays for all kinds of travellers. 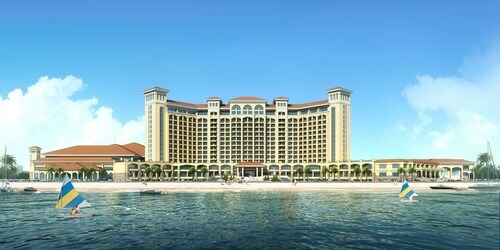 Check out the Hotel Avenida (Av Julius Nyerere, 627) and the Polana Serena Hotel (Avenida Julius Nyerere 1380). These popular accommodations not only come with cosy beds — they boast terrific reviews as well! 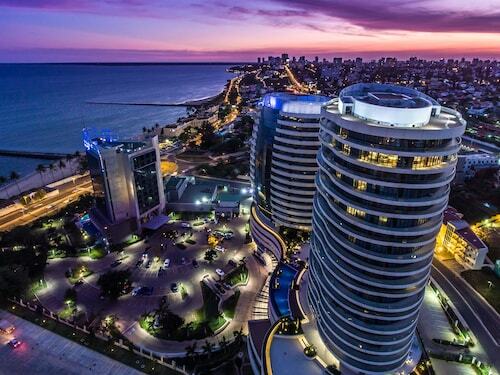 Preparing for your trip to Maputo? Wondering where you'll be flying into? Maputo International Airport (MPM) is your closest terminal. Once you've disembarked and made your way out of the gate, you'll be 3 miles (5 km) from all the downtown action. Staff were very helpful and room was very spacious. Great hotel. The service is well above the rest of the hotels in Maputo and only compare to Souther Sun. The swimming pool needs to clean properly though. 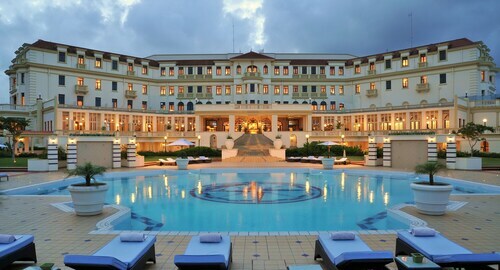 It is the best hotel in Mozambique.